This Commodore 128 cartridge is rev. 588121. 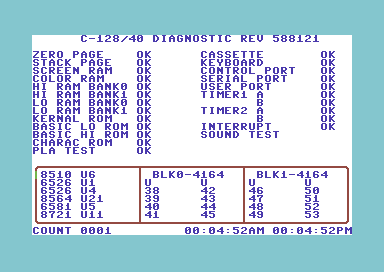 Uses the same harness as the C64 Diagnostic Rev.586220 (326070-01). Only a .bin is included in the archive.